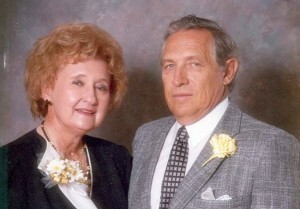 Frank & Catherine Kroutil (parents of YNB founder John F. Kroutil) came to America from Czechoslovakia. They first settled in Nebraska. The Kroutils moved to Yukon, Oklahoma Territory from Nebraska. 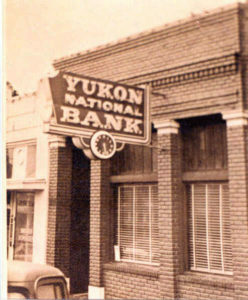 Yukon National Bank was founded with $25,000 of capital stock. John F. Kroutil was the first president of YNB. He served until his passing in 1954. 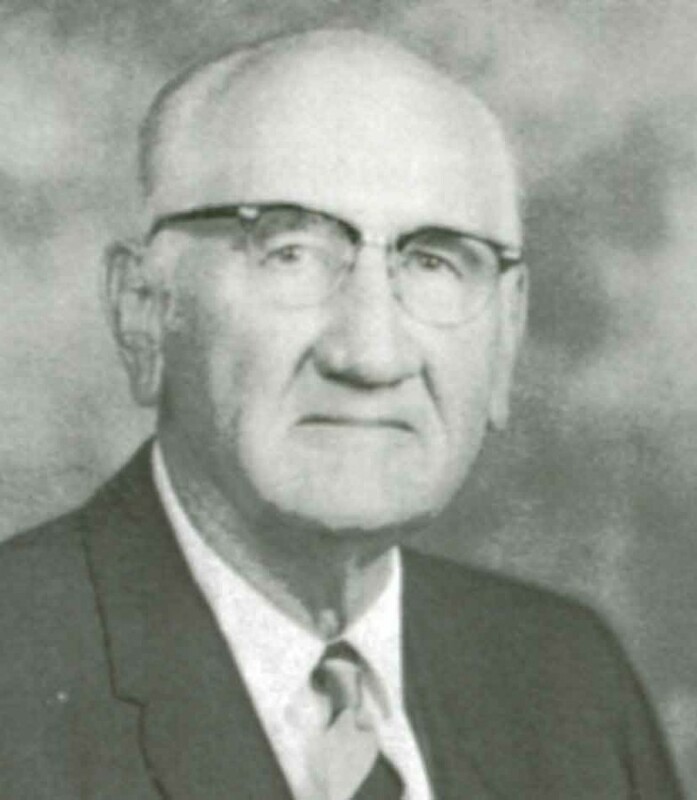 Raymond B. Kroutil began serving as the second president of YNB in 1954 after the passing of his uncle and first president of YNB, John F. Kroutil. Clarence R. Wright, husband of Kathryn R. Kroutil, daughter of Raymond Kroutil (YNB’s second president) becomes the third president of YNB and oversees the bank’s growth and success into the 90’s and 2000’s. 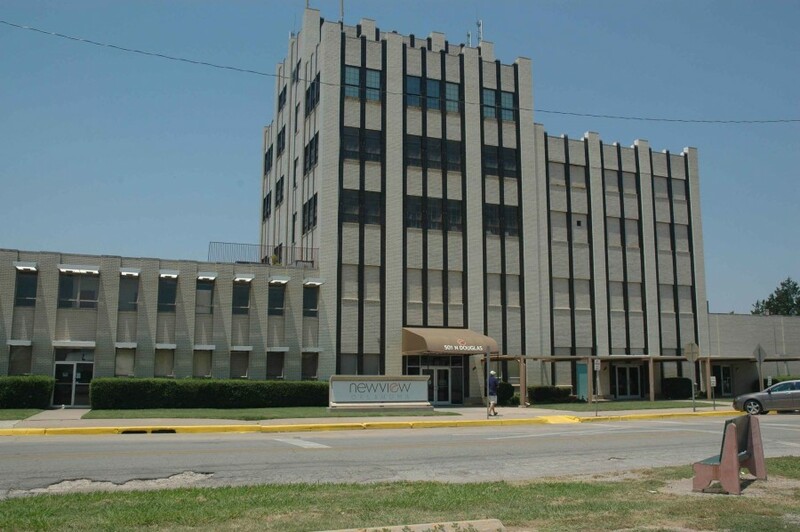 YNB opens a loan production office at 218 N. Mustang Road in Mustang, OK to provide financing and loan services to the residents of the City of Mustang and surrounding areas. The Mustang Loan Production Office becomes a full service banking branch as YNB Mustang Bank. In addition to the loan services already provided, the Mustang branch began providing deposit and teller services to the community of Mustang. In order to better serve a growing customer base, YNB opens Banking Service Center (now known as YNB East) on the east side of Yukon at 235 S. Yukon Parkway with the newest banking technologies to provide the best banking services to our customers. Randy Wright after serving the bank in various roles over the years brings his extensive experience and skill and begins serving as bank president in 2000, taking over for his father, Clarence R. Wright. He guided the bank through the financial crisis of 2007 and beyond and is responsible for the bank’s current strength and presence as a vital community institution. YNB opens the Parkway branch in front of the Canadian Valley Integris Hospital at 1550 Garth Brooks Blvd. in what is now one of the most vibrant and busiest areas of Yukon. At the time of opening, the YNB Parkway branch was one of a handful of businesses on the south side of I-40 on Garth Brooks Blvd. The area has since exploded in activity and is now home to dozens of businesses and sees an amazing amount of daily traffic. YNB’s merger and acquisition of Peoples Bank in Oklahoma City added the YNB Peoples branch as another full service banking location. At 6201 NW 23rd in Bethany, the Peoples location allowed the bank to provide a full range of services to an entirely new community. YNB proudly celebrated 100 years in business on July 12, 2012. Having been owned by the same family for 100 years, YNB has been uniquely involved in the community and is proud to have been a fixture of Yukon and the surrounding area for a century. The formation of The Yukon National Bank is closely associated with the formation of the Yukon Mill and Grain Company and the initial growth of the City of Yukon. Even though the Yukon Mill and Grain Company is no longer active, the buildings act as a reminder of where we’ve been and how we got there. Today, YNB boasts five locations and services Yukon, Mustang and the Oklahoma City metro area. We also have nine ATM locations for your convenience. A Little Bank History The founder of YNB was John F. Kroutil. John’s parents, Frank and Catherine Kroutil, came to America from Czechoslovakia in 1881. They first settled in Nebraska, then moved to the Yukon, Oklahoma Territory in 1895. In 1902 John F. Kroutil, Frank Kroutil and A.F. Dobry bought the stocks for the Yukon Mill, and elected John F. Kroutil president. In 1907 John F. Kroutil created the Yukon Electric Company. It operated independently for many years before it was sold to OG&E in 1959. When John F. Kroutil opened the doors to YNB on July 12, 1912 with a capital stock of $25,000, there were already two others banks operating in the small town of Yukon. But Mr. Kroutil wanted his own bank so as to speed up payments to farmers from whom he purchased grain for the Mill. He also wanted Yukon National Bank to handle bills of lading for the flour the mill was shipping out. This took great outlays of capital and he wanted to have the money ready at a moment’s notice when the farmers were ready to sell their grain, or the trainloads of flour were ready for transit. Plus, John F. Kroutil wanted a bank that was friendly to all people, willing to make loans for needed farm equipment, or to purchase a home or a vehicle, or even a new herd of cattle. 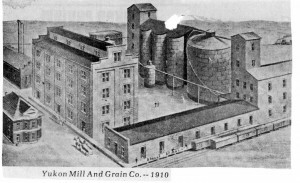 The Mill and YNB flourished during the First World War years and on through the Great Depression mainly because grain was a staple for both Americans and those living overseas during these hard times. The Mill was at one time the most modern and largest in the entire America n Southwest. The Canadian Valley of Oklahoma was a great producer of these grains as the land was fertile and the farmers of Czech and German descent who lived here had excellent knowledge of growing and harvesting their crops. During World War II, the Mill ran around the clock, producing several varieties of flour for distribution. It provided government flour to the armed forces. 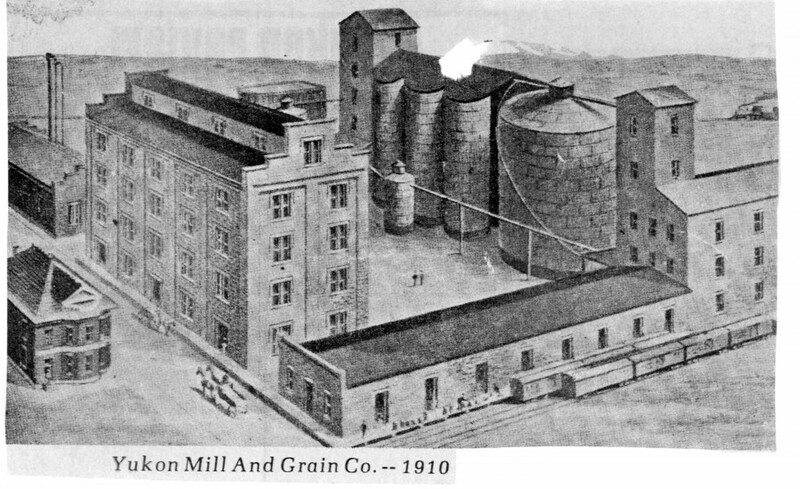 The Yukon Mill & Grain Co. was the chief employer of Yukon and thus Yukon National Bank got plenty of the banking business from the farmers, Mill employees and those wishing loans to buy into life here and in surrounding areas. John F. Kroutil was a big supporter of F.D.R. for President. He also was close friends with Anton Cermak, then may or of Chicago. In 1931, with Cermak as President and Kroutil as one of the vice presidents they formed the National Association of Roosevelt Czechoslovakian Clubs of America. Kroutil also organized the Oklahoma Roosevelt-Garner Business and Professional Men’s League. He helped raise over $100,000 for FDR’s election campaign. This was during the Greatest Depression this country has ever known. 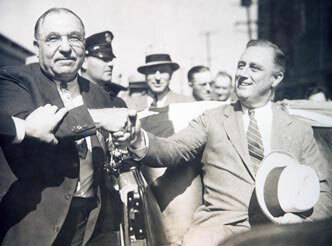 He also supported aviation by giving donations to early-day aviators such as Clarence Page and Wiley Post. 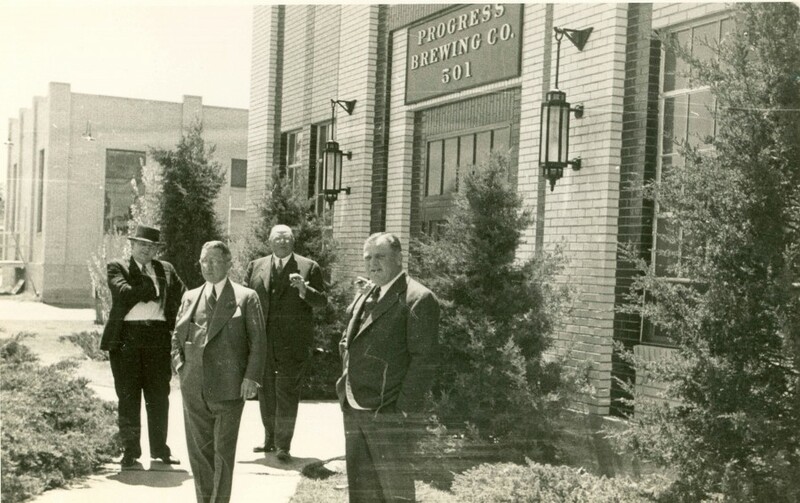 In 1933, just after Prohibition was lifted, John Kroutil, along with G.F. Streich, opened up the Progress Brewery at 501 N. Douglass in Oklahoma City. 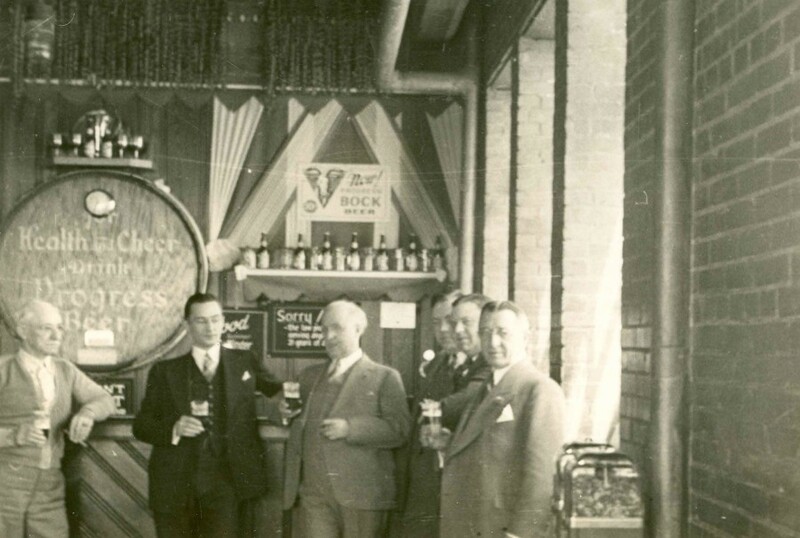 The six-story brew house had a capacity of producing 100,000 barrels of Progress Beer a day at its peak. It employed 1,000 people at one time, during the Depression. The beer was a regional beer, meaning it was an Oklahoma beer for Oklahomans. The picture to the left was taken from a meeting of regional brewers at the Progress Brewery in OKC. The first man, with the hat, may have been the brewmaster at Progress. His name was Cliff. The second man is Walter Hiss of Chicago, then John F. Kroutil out front middle, and Mark Dykema, Progress executive secretary/treasurer, on the far right. Pictures of Progress Brewery courtesy of Mary D. Streich. 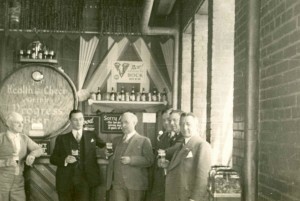 The picture to the left was taken in the taproom and features John Kroutil, far right, along with Mark Dykema and Elmer Streich to Kroutil’s right. 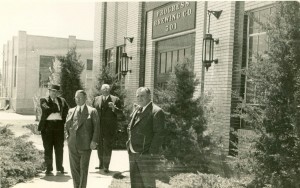 To the far left may be the first Progress brewmaster Otto Deter. Those who tried the brew all agreed it was of excellent quality. 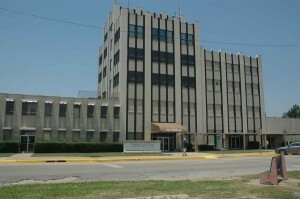 The business was later sold to the Lone Star Brewery and the building, which is still standing, is now used as NewVision Oklahoma, a facility for helping people with vision impairment. Raymond Kroutil served as president after John Kroutil’s passing in 1954. He was the son of Frank Kroutil, co-founder of the mill. Raymond was president of YNB, the Mill, and the Yukon Electric Company at one time. He oversaw the construction of the new YNB building on 4th & Elm. He also helped get the Town Plaza Shopping Center built. Under Raymond’s leadership YNB became a self-sustaining business entity which has endured until today. Community Involvement In all of our 103 years of great banking service, the business has remained family owned and operated, and committed to the vitality of the community. The guiding presidents of YNB from John F. Kroutil, Raymond Kroutil, C.R Wright who was married to Kathryn R. Kroutil; and through to the current president, Randy Wright, have done many selfless deeds to help make Yukon and the surrounding community a better place to live. They have helped the school systems in numerous ways. C.R. Wright donated land for park usage (the Chisholm Trail Park). And Randy Wright continues to this day to support many worthwhile civic events and clubs and to make himself and the bank available for the general good of the community. YNB isn’t all about just being a depository bank, it’s also about being a good business neighbor and a strong community innovator and supporter. C.R. Wright helped bring the Integris Canadian Valley Regional Hospital to Yukon, which in turn led to the development of the southwest corridor of Yukon. He also helped in the securing of the land for the new Yukon High School which was completed in 2011. 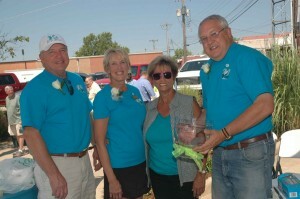 Annually, YNB and the Wright family are major contributors to the 4thof July Freedom Fest, the Tribute to Veterans, the Christmas in the Park, the Sounds of the Season featuring the Oklahoma City Philharmonic, the Chisholm Trail Festival, the Festival of the Child, and many other activities and events which Canadian County and the YNB Community at large enjoys. Annually YNB awards several $1,000 Kathryn R. Wright/YNB scholarships to deserving students in various fields of study. In January of 1994, YNB had the Grand Opening of their Mustang Loan Production Office at 218 N. Mustang Road, which became the YNB Mustang Bank in October, 1996. In March of 1999, YNB opened the YNB East Bank at 235 S. Yukon Parkway. In July of 2004, the YNB Parkway Bank opened at 1550 Garth Brooks Blvd. 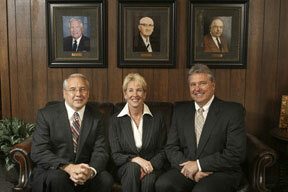 In January of 2006 YNB added a new location with the YNB Peoples Bank at 6201 NW 23rd St in northwest Oklahoma City. The Main Bank Dri ve-Thru was remodeled in the fall of 2005 with wider, more convenient lanes and 2-way interactive monitors. The interactive monitors not only let you see the teller with whom you are dealing, but supplies added bank and community information while customers wait for their transactions to occur. The picture at left shows Jan Scott, Yukon Parks & Recreation director, at our 100th Birthday Party July 12th, presenting a crystal bowl to the Wright/Henthorn family, for their generous donation of land which is now used by the Chisholm Trail Park in Yukon. YNB is one of only a handful of banks across the state which have been continuously family-owned and -operated for over 100 years. The picture to the right shows Randy Wright, President & CEO, Carolyn Henthorn, Executive Vice President and Raymond Wright, Director. YNB remains committed to giving the best service and maintaining state-of-the-art equipment and services at all our locations. You can count on us to continually give small-town, friendly, know-you-by-your-first-name type service combined with technology that is reliable, new and convenient to use. As we celebrate over 100 years and counting we want to thank all of our customers for their support and friendship over the years. We know our customers are our greatest assets and our employees and customers are what make us a great community bank.